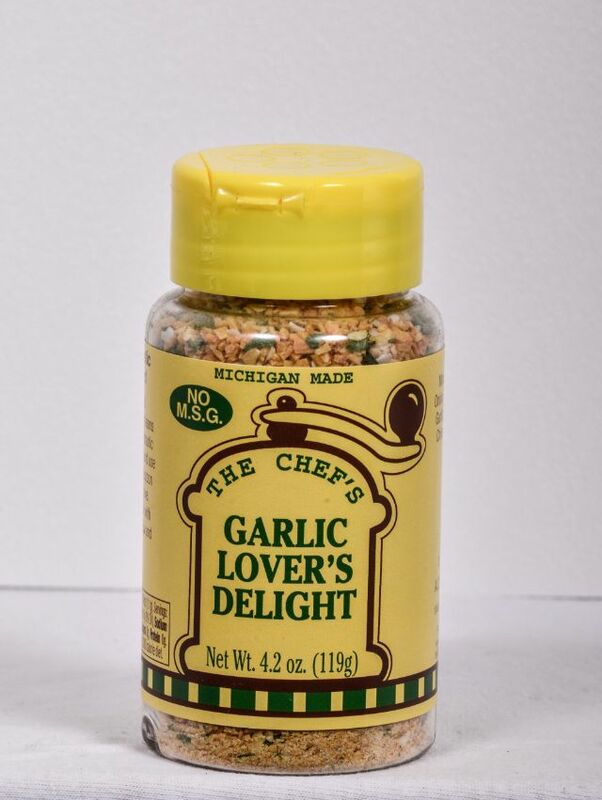 A high quality blend of garlic, onions, parsley and herbs that create an incredible garlic flavor. 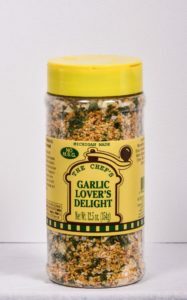 Use on garlic bread, roast, soups, potatoes, fish. 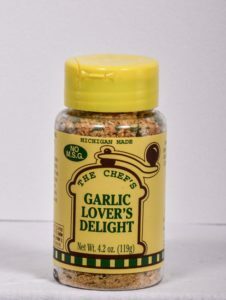 Use in place of garlic in your recipes, 1 teaspoon equals 1 medium garlic clove! Makes a fantastic vegetable or potato chip dip. Wow, now that is garlic! This will become a kitchen staple. Minced Garlic, Minced Onion, Granulated Roasted Garlic, Granulated Onion, Chives, Salt, Spices and Citric Acid.